Our products are used in many diverse industries throughout the world from civil engineering, the motor industry and mining through to jewellery and lingerie. Alongside our extensive range of dies, rolls and tooling, we also manufacture Die Shop machinery and equipment along with all ancillary products. Our services encompass design, die management, die refurbishment, stock maintenance, partnership management and support. We support manufacturers working in some of the worlds most demanding environments and we can probably help you too. Just let us know how. 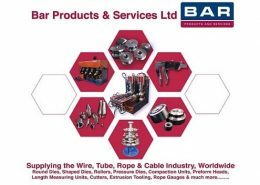 Bar Products & Services have been an integral supplier to the company for over 15 years and offer the reliability and services of tooling that is expected of a main supplier. 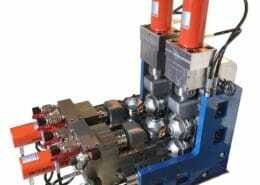 The quality and attention to detail in the machinery and tooling offered by Bar Products & Services has enabled Stonepark Consultancy to recommend their services to our customers all over the world, and are a strategic partner in our business. Bar Products & Services have been supplying shaped dies and tooling for our Wire Rope facility for a number of years and the quality has always been of the high standard expected by the Kiswire Group. As a major manufacturer of high quality steel wire ropes around the world we are keen to develop good relationships with our suppliers. Bar have continued to offer the service that we expect and delivery of goods when we need them. Bar Products have been supplying dies and tooling to Wintwire for many years and the quality and service helps us remain at the forefront of the industry. 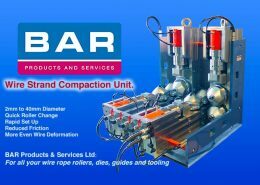 PRESS RELEASE: Rope Strand Compaction gives Bar Products & Services a first Quarter Boost. https://www.barproductsandservices.com/wp-content/uploads/2018/04/Compaction-Unit-106-017-e1536863023899.jpg 509 500 Tracey Callaghan https://www.barproductsandservices.com/wp-content/uploads/2019/03/Bar-products-and-services-logo-300x143.jpg Tracey Callaghan2018-04-03 14:43:582018-06-19 13:39:23PRESS RELEASE: Rope Strand Compaction gives Bar Products & Services a first Quarter Boost.